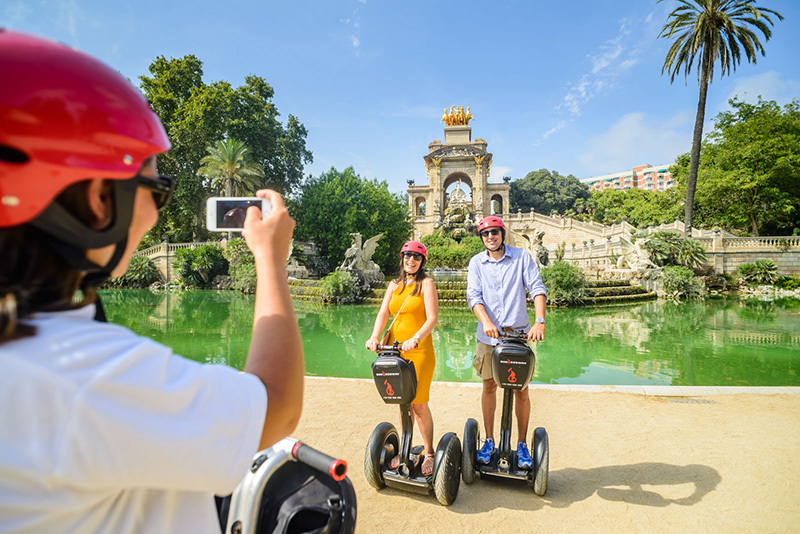 Ciutadella Park Tour has been designed for those who want to try the Segway Experience for the first time, or who simply look for a fun activity in the company of friends, couple or Family. 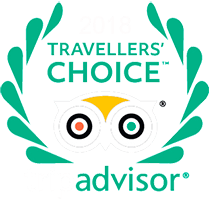 Stop searching further, this is your ideal Tour! 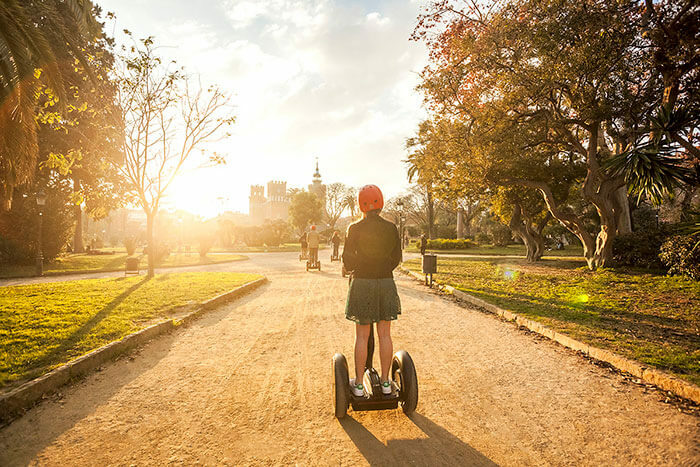 During one hour you will slide along the sidewalks of Barcelona and you will see from another perspective, the daily life of the most active urban park in the city. 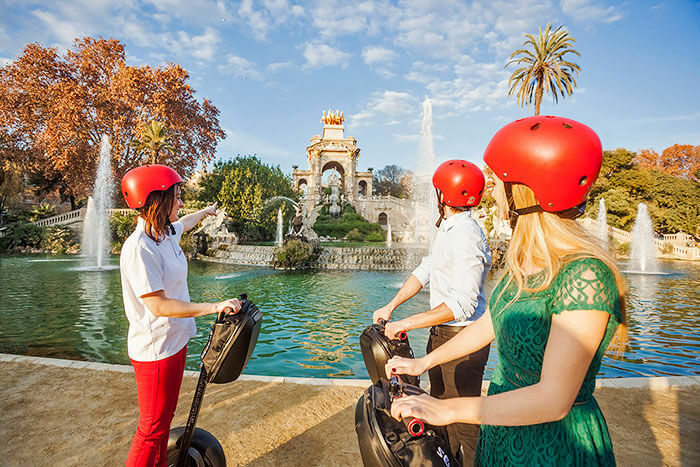 The Parlament of Catalunya, Barcelona Zoo, La Gran Cascada, musicians and artists of all kinds is the cocktail you will find in the Ciutadella Park. 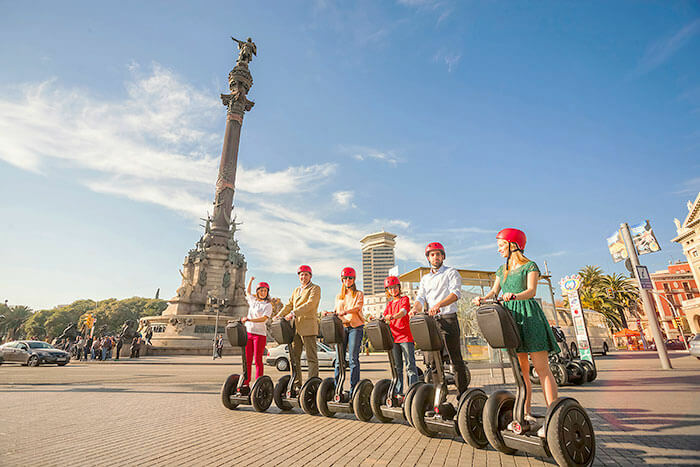 Accompanied by one of our professional guides, we will start with the rigorous pre-training to start our Tour in the direction of Las Ramblas, Port Vell and the Columbus Monument. This magnificent statue of almost 60 meters high and with a 50 cm finger pointing towards the sea, was built during the works to improve the Barcelona Coastline for the Universal Exposition of 1888. 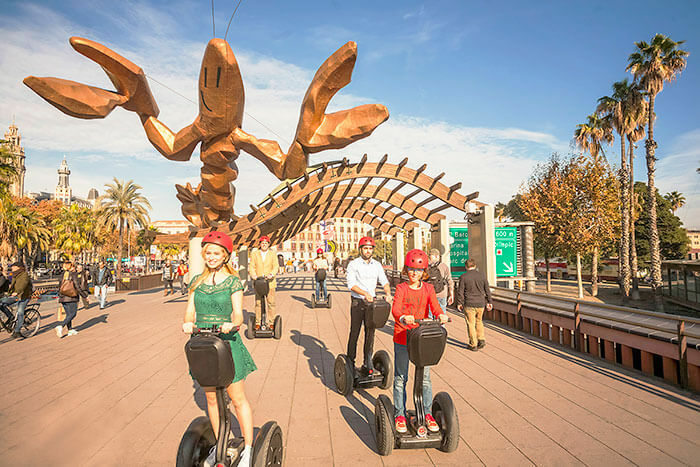 Seeing the Barcelona Cable Car crossing the sea through the air, ferry that connects the magical mountain of Montjuïc with La Barceloneta, we will head towards the Parc de la Ciutadella crossing the center of the city. Arrived inside the park, we can appreciate the charm of this green area and how the citizens enjoy it! 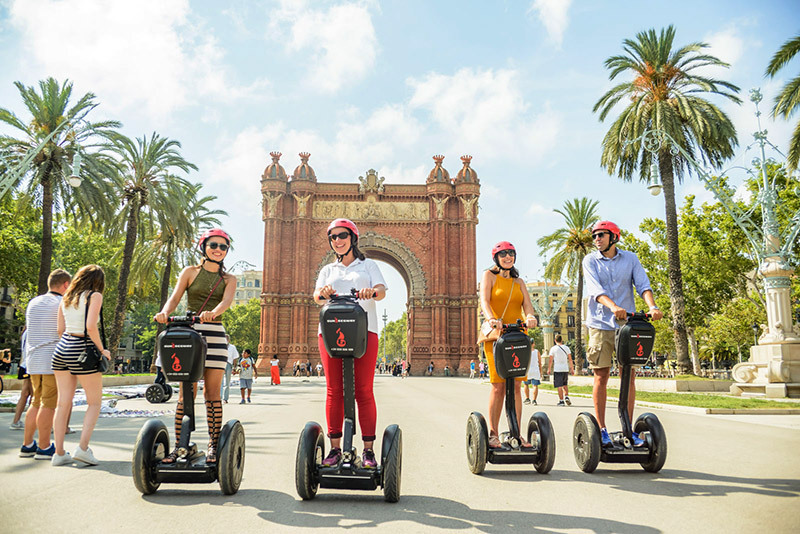 But this is not all, because the Parc de la Ciutadella is also a very important place for citizens as it has witnessed the history and sociopolitical evolution of Catalan culture. Another important point in the interior is the Gran Cascada designed and built by Josep Fontserè and helped by a still young and inexperienced Antoni Gaudì . Back to our office we will say goodbye with our best smile and a Chupa Chups to recover strength!